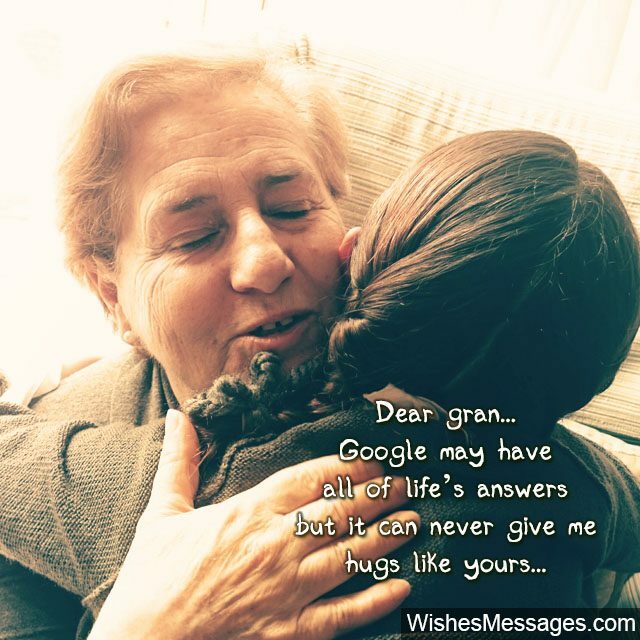 Birthday Wishes for Grandma: When was the last time you gave your granny a hug? Well her birthday is the perfect time to do so! The cutest greeting cards, handwritten notes and gifts of course – gather the family and spend some time with your grandmom. If you’re not in the same city, hop over to Facebook, Instagram or whatever else she’s using and wish her on there. 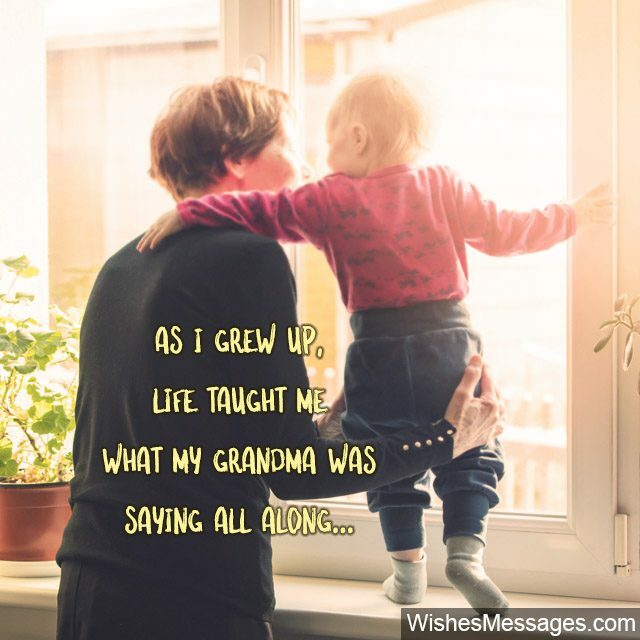 Grandmothers, granddaughters and grandsons share a special bond unlike any other – cherish this relationship and give the woman a reason to smile after all the sacrifices she’s made in bringing up the family. 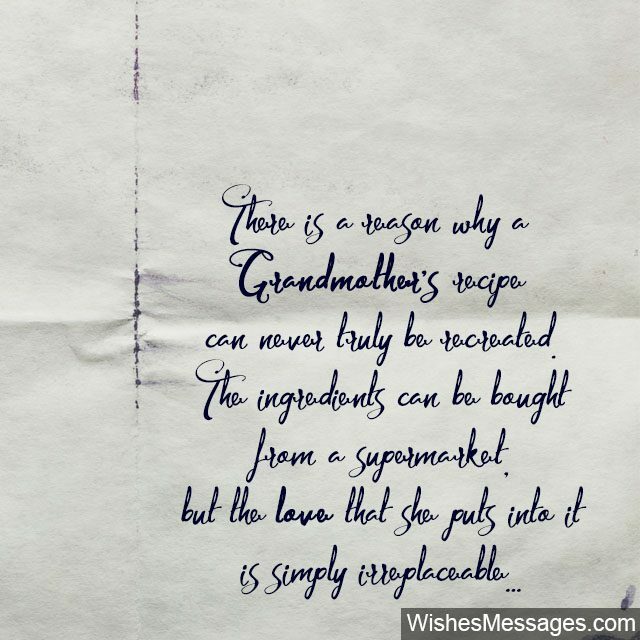 1) There is a reason why a grandmother’s recipe can never be recreated. Ingredients can be bought from a supermarket but the love that she puts into it is irreplaceable. Happy birthday. 2) I hope I inherit your eyes, they’ve seen the world. I hope I inherit your personality, it is full of grace. I hope I inherit your attitude, it reeks wisdom. I hope I inherit your heart, it is made of gold. I hope I can be just like you, when I grow old. Happy birthday grandma. 3) The saying that genes are passed on to alternate generations is true. Otherwise I wouldn’t have been as pretty as you. Happy birthday gran. 4) One of the best parts of having your daughter as my mom is having you as my grandmother. Happy birthday gran. 5) No amount of fancy upholstery, exquisite flower vases or expensive furniture can match the beauty you add to our home with your maturity and grace. Happy birthday grandma. 6) Your beautiful face, active lifestyle and good health can put young women to shame. Happy birthday grandma. 7) Happy birthday to the family’s official storyteller. Love you granny. 8) You are the only person in the world who has the power to simplify every complication in my life with a simple loving hug. Happy birthday grandma. 9) Grandma… a pro at knitting, a pro at baking. A pro at gardening, a pro at shopping. A pro at pampering, a pro at advising. A pro at loving, a pro at caring. Happy birthday Superwoman! 10) It took me a long time to accept that I was born in an ordinary family… because my grandma always treated me like a princess and made me feel like royalty. Happy birthday. 11) I am the richest person in the world because I have a granny like you – whose cuteness is precious and wisdom is priceless. Happy birthday. 12) I would change a lot of things if I had the chance to rewind my life back to my childhood, except one… the times I spent with my grandma. Happy birthday. 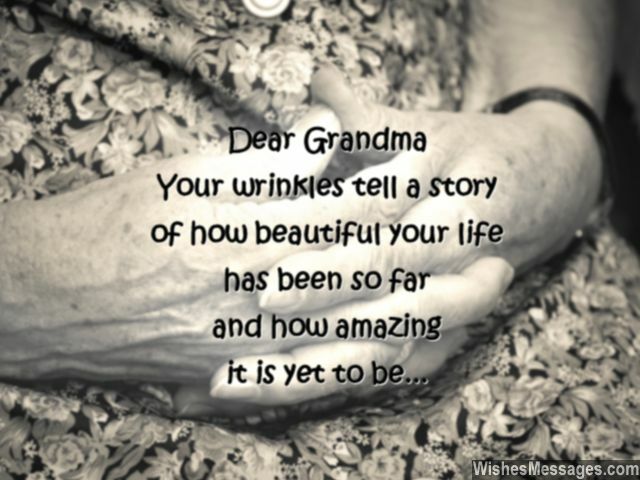 13) Your wrinkles tell a story of how beautiful your life has been so far and how amazing it is yet to be. Happy birthday grandma. 14) You’ve been through a lot in life, yet the smile on your face never fades. 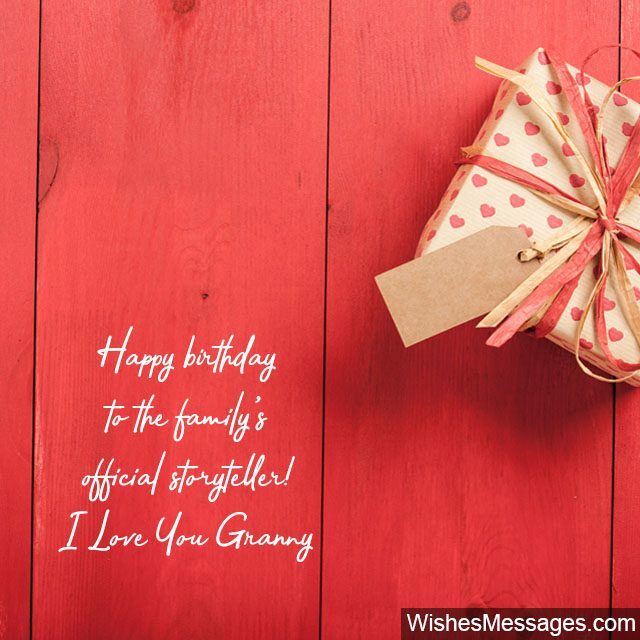 Such an inspiration you are… happy birthday Grandma! 15) Grandma, you’re more than just awesome because your life is the epitome, of what true happiness is and how life should really be. Happy birthday. 16) If you are my mom’s mother, why isn’t she as graceful as you? Maybe all your beautiful qualities were meant to be passed on directly to me! Ok ok I’m only kidding, beauty runs in our family’s genes and it has trickled down from you! Happy birthday. 17) Grandma… you have given me precious childhood memories that I will cherish for a lifetime. I promise, I’ll do all I can to help you cherish old age so that it becomes the best time of your life. Happy birthday. 18) You are exactly like the cookies you bake for us – lovely, delightful, warm and fabulous. Happy birthday grandma. 19) Google may give me all of life’s answers but it can’t give me hugs like yours. Happy birthday granny. 20) You’re the only person I know who’s not on Instagram, yet cool enough to be my friend. Happy birthday granny! 21) There should be a cartoon character made after you and she should be called SuperGran. Happy birthday to the superwoman of our family. 22) Grandma… the only person in the family who pampers me despite my tantrums and loves me even when I’ve been naughty. Happy birthday. 23) Just like how a company’s success is credited to its founder, we credit our family’s happiness to the co-founder of our family – YOU. Happy birthday grandma. 24) Just like how punching bags are meant for boxing, grandmothers are meant for hugging. Happy birthday grandma. 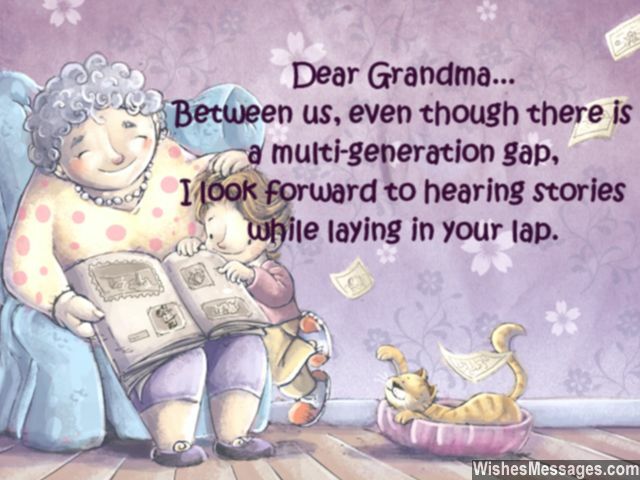 25) Between us, even though there is a multi-generation gap… still I look forward to hearing stories while laying in your lap. Happy birthday. 26) The most comfortable place in the world is not my bathtub, TV couch or my bed – it is my grandma’s shoulder where I can rest my head and forget all my worries. Happy birthday nana. 27) Grandma, I wish you lived with us so that you and I would be a team against mom and dad, and win arguments every single time. Happy birthday. 28) Grandma… you are the first person from whom I learnt the real meanings of the words cuddle, snuggle, huddle, nuzzle and nestle. Happy birthday. 29) Full of courage, full of inspiration, full of wisdom, full of gratitude… I wish I too can live a life like you – with pride and fortitude. Happy birthday grandma. 30) Do you know how you are different from my parents? They give me treats only when I deserve it but you give me treats even when I don’t. Thanks for being so awesome! Happy birthday grandma. 31) Eventually as I grew up, life taught me what my grandma was saying all along. Happy birthday. 32) I think you have gravitational force within you because your presence keeps the whole family together. We love you grandma, happy birthday. 33) Grandma, on your birthday I wish you the world and a lot more… no matter what happens I’ll always love you from the core. Happy birthday. 34) When I was young you taught me to read books. Now I’ll teach you to how to use Facebook. Happy birthday grandma. 35) Who needs day care when I’ve got a loving and caring grandma like you? Happy birthday. 36) She’s sweet and gullible, and always there when I feel vulnerable. Happy birthday grandma! 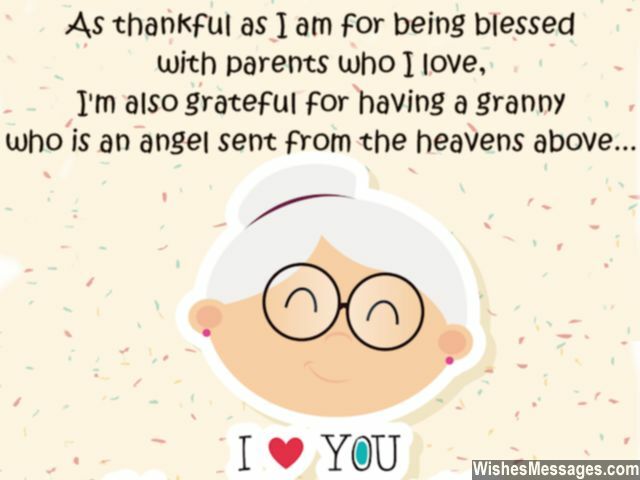 37) As thankful as I am for being blessed with parents who I love, I’m also grateful for having a granny who is an angel sent from the heavens above. Happy birthday. 38) Grandma… you are like a giant teddy bear, for a hug you’re always there. Happy birthday. 39) I know that grandmothers are supposed to be cute, loving and CARING. But you take all this to a whole new level to make my life simply AMAZING. Happy birthday gran. 40) I know you’ve lived a tough but beautiful life, because your stories say so. I hope I grow up to be a person who can carry the legacy forward. Happy birthday grand mom.